Stout Margaret Tower in Tallinn (also known as Fat Margaret) is the most massive part of the town’s defensive wall and is situated at the end of the street Pikk. The history of this amazing structure began in 16th century. 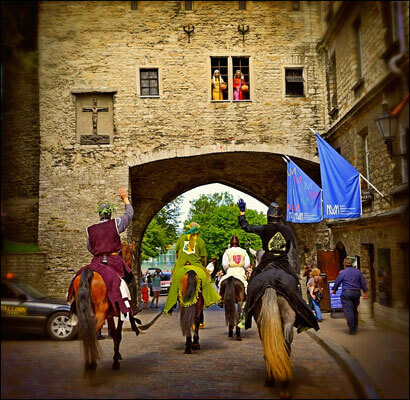 It was built not only to protect the city on the water-side, but also to impress the visitors who came to Tallinn. The tower’s name we know today was given only in 1842, before that it bore a different name − The New Tower. Its measurements are 25 meters wide and 20 meters high. In the 19th century it was rebuilt into a prison and was also used as an armory. Time passed and in 1917 it got burned down, but Margaret was lucky enough, so a few years later it was reconstructed and became a home for the Maritime Museum. Today Stout Margaret Tower can tell us about the history of sailing, fishing and shipbuilding in Estonia. You can also take a look at the old diving equipment and interesting things picked up from the bottom of the Baltic Sea. This building will always remind the Estonians about the cruel times when Tallinn needed Stout Margaret’s protection.